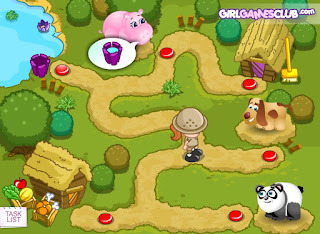 Help caretaker Lulu in her game debute to run the baby zoo nice and tidy. In this first chapter of baby zoo you get to work with the panda, puppy and the hippo! Keep their places nice and clean, feed them with their favorite vegetables and water. Take good care and give some personal, medical and special attention to each animal once needed.